the enemy would have swallowed me alive. I would have drowned in the torrent. in the raging, fuming rapids. He didn't go off and leave me! defenseless, or helpless like a rabbit in a pack of snarling dogs. that was broken and I escaped! 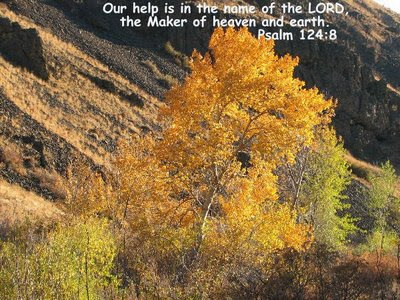 Who is the Maker of heaven and earth.